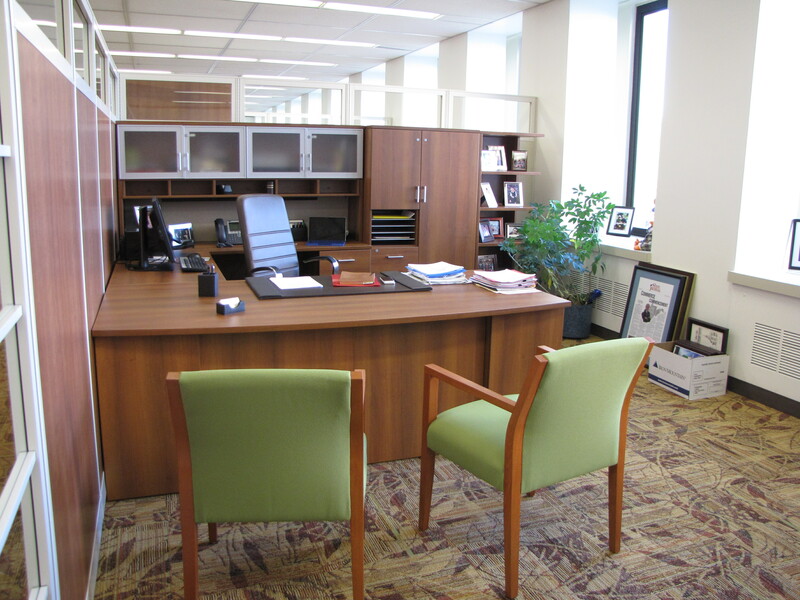 Furniture design services for the former Cabinet Secretary’s office in Building 6 included a more professional reception area, functional private offices, and a large meeting room. Entry to the former Cabinet Secretary’s office was right off the elevator lobby in State Office Building 6. 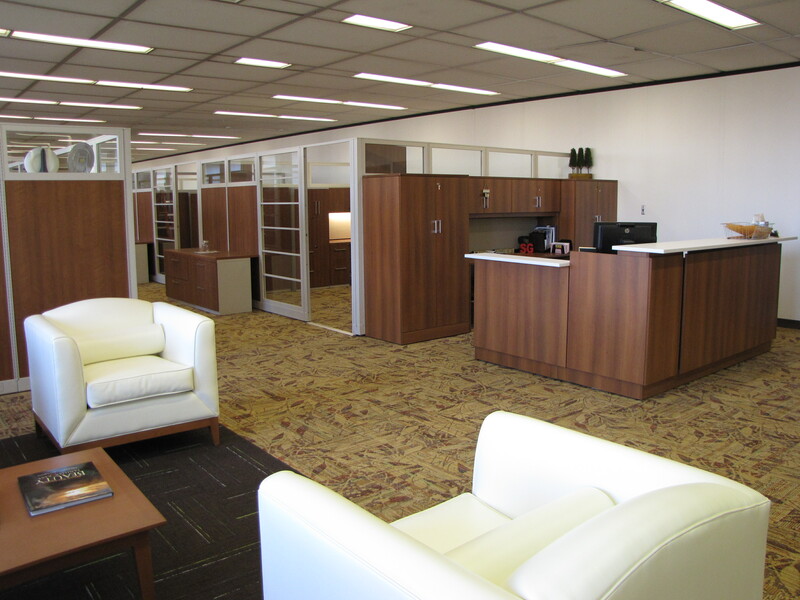 In this photo, the reception desk is shown on the right, with an open, professional waiting area. 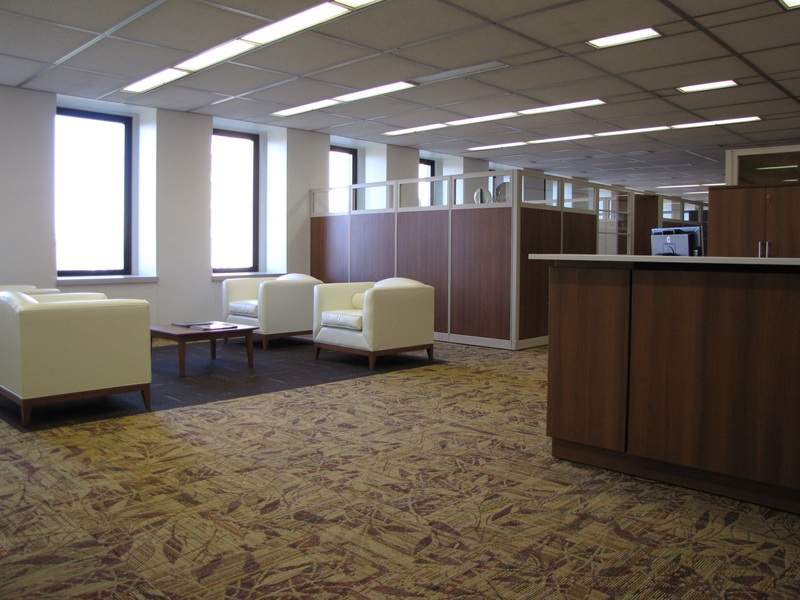 Daylight enters the entire space, carpet tiles are warm and welcoming in their colors and leafy pattern, and lounge chairs feature a modern white polyurethane fabric that is durable and easy to clean, but feels soft like leather. Wood furniture is modern in design, but “transitional” in finish. The reception desk has a lower counter to meet ADA standards. And the existing ceiling and lighting remained in place. It’s not an ideal situation, but since all the offices have glass around the top of the panels and beside each door, the space is evenly lit and brighter than before. All offices are much more functional and include plenty of storage. The part of the desk along the wall is open underneath to allow airflow through the in-wall ventilation system. Desks are freestanding and can be moved away from the wall if needed to service vents below the windows. The Cabinet Secretary’s office just after move-in day; his office was very much like the others with the lower panels. 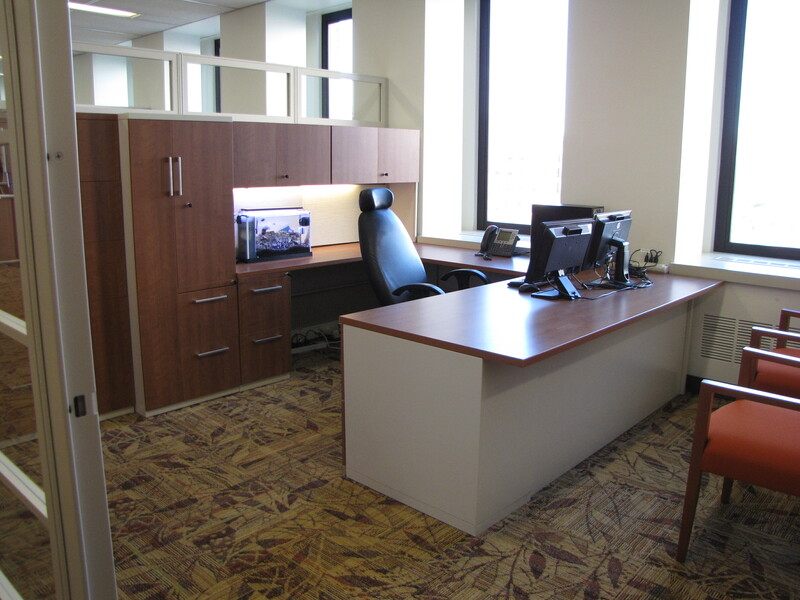 Project: Furniture design and specifications for the Cabinet Secretary’s offices.